Holistic Dental Surgeon Services employ traditional Oral Surgery Techniques along with New Platelet or PRF therapies and Oxygen and Ozone Gas Treatments. These same Biological Surgical Techniques accelerate healing, decrease swelling and pain especially for extractions, implants and bone grafts. If you are experiencing Tooth Pain, we will see you same-day and do whatever is necessary to get you out of tooth pain. Including doing a same-day tooth removal. Can you get “put to sleep for Wisdom Tooth Removal?” Yes. IV Sedation Dentistry is available for Oral Surgery in Rockville, Maryland. Tooth Pain is a Dental Emergency. 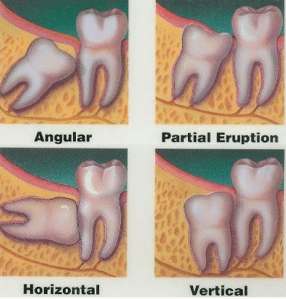 We remove both erupted and impacted teeth, including Wisdom Teeth. In fact, we will do sedation dentistry for any dental procedure including fillings if necessary. Platelet Rich Plasma aka PRF is a new therapy used during tooth removal and dental implants. PRF accelerates healing, decreases pain and swelling after Oral Surgery procedures. The best time to replace a tooth with a dental implant is on the day of tooth extraction. Why go through more than one Sedation and Dental Surgeon procedure? We perform immediate implant placements, that is a dental implant placed at the time of tooth extraction. At the time of extraction, there is already a “hole” i the jaw or that is a tooth extraction socket. Why return later to have a new “hole” created. Research shows an immediate dental implant placement is not only saves time, but produces a better result. We now offer tooth colored and metal-free Zirconia Dental Implants as well as titanium dental implants. Since we are a Dental Implant Center we place crowns and dental implants. We believe we have the Best Dental Surgeons for Wisdom Teeth Removal with PRF. Wisdom Teeth Removal in Rockville MD is a Niche of ours. We remove Wisdom Teeth that are in the mouth or Impacted Wisdom Teeth. We also Offer Sedation Dentistry if necessary. In many cases Wisdom Teeth, even Impacted Wisdom Teeth can be extracted with only local anesthesia. IV Sedation Dentistry is available for this procedure in Rockville, Maryland as well. If precautions are taken, Wisdom Tooth Extractions can be performed quickly, with very little post operative pain. PRF or Platelet Rich Fibrin is very helpful to help any oral surgery site heal quickly and properly. We also are careful to properly clean the PDL and any cyst tissue in an extraction site. We always use dental ozone and oxygen gas to help promote healing and kill any bacteria in the extraction sites. Wisdom Tooth Extraction Cost is $300 – $750 depending on how the tooth is positioned in the Jaw. 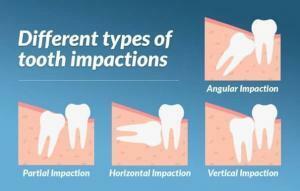 Dental Insurance will often cover up to 80% of Wisdom Tooth Extractions. It is always best to remove impacted wisdom teeth, but… sometimes removing impacted wisdom teeth can do more harm than good. For example, if a horizontal wisdom tooth impaction is removed and the patient experiences permanent jaw nerve damage, hindsight may suggest the tooth may have caused less harm had been left alone. Removing wisdom teeth may be a matter of whether or not there is infection present or whether or not the impacted wisdom tooth is harming the root of the molar in front of it. It is best to get a consult from an oral surgeon or another dentist with a oral surgery experience. Do I need to Remove Wisdom teeth? Maybe. If they are too far back to clean or if there is not enough room in the mouth for them to grow into the mouth, than Yes. If you do not take them out, one day your jaw will swell and you will be forced to drop everything you are doing. You will be calling us for an emergency dental appointment. What is the Recovery period after Wisdom Tooth Removal? Usually some pain for 1-2 days, followed by soreness for a week or so. 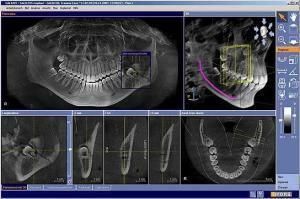 Do I need a 3D Cone Beam / CT Scan for Wisdom Teeth Extractions? Yes. 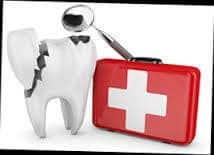 For Dental Surgeon Services we need to identify where the Wisdom Teeth are and vital structures such as nerves and arteries in your jaw to avoid aggressive surgical incisions and unnecessary trauma or permanent damage during the procedure. Do I need to get put to sleep to get my Wisdom Teeth Removed? No, but It would not be a bad idea. It is only necessary to keep you calm and comfortable during the procedure. We offer IV Sedation at our Rockville location. What are the possible complications from Wisdom Tooth Removal? Damage to the nerve in the lower Jaw causing partial or complete numbness to the lip area. Very uncommon and usually only temporary. Communication into the upper sinus. Usually happens when a root has grown into the sinus. Usually heals on its own. Wisdom Teeth are too far back to properly clean. In fact cleaning wisdom teeth in many cases is impossible. Wisdom teeth can cause dental cavities, periodontal or gum disease. Wisdom Teeth can have cysts form around them and severely damage the jaw bone. Wisdom Teeth also can interfere with proper closure of the upper and lower jaws. Wisdom teeth can cause a poor bite and can lead to TMJ problems. By retaining Wisdom teeth, most individuals will get dental cavities or dental caries, periodontal or gum disease and TMJ problems. Many people can have severe damage to their second molars which are the teeth in front of the Wisdom Teeth. Often Wisdom Teeth can come in sideways. When the teeth come in sideways which is also called horizontally impacted, the can cause severe dental decay on the second molars. 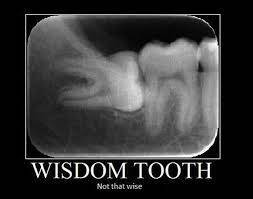 Sometimes the damage to a second molar can be so severe, the patient will lose both their Wisdom Teeth and 2nd molars. Most of the time removing Wisdom Teeth is a matter of health and preventative dental care.